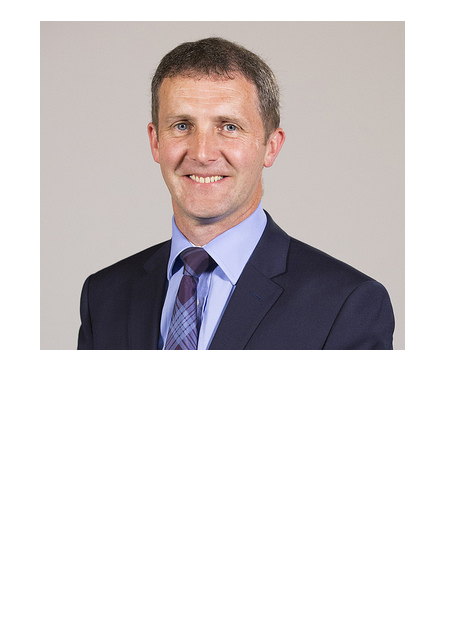 Cabinet Secretary for Justice, Michael Matheson, reports on a possibly unique electronic monitoring trial of GPS technology in Scotland using the first hand experiences of volunteers. 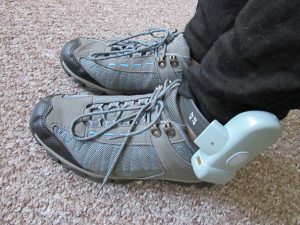 Earlier this year almost fifty volunteers from justice organisations across the country took part in a test of the GPS equipment being considered for use in the electronic monitoring of individuals in Scotland. The trial gave people the chance to experience daily life with an electronic tag, albeit without strict curfews, and to get a peek behind the scenes to see how the technology works. It was also a chance for them to start thinking about how GPS tags could be used by the justice system. The volunteers were fitted with a GPS tag, onto either an arm or leg, and asked to carry on with their normal daily life while electronically tagged over the course of five days. As the tag was removed, they found out how their movements had been monitored and what data had been collected. The test also gave us the chance to ask volunteers for their opinions of electronic monitoring both before and after the test, to find out how spending time being tagged, and learning about the processes behind the scheme, might inform their views. Before the trial some volunteers recognised electronic monitoring as a useful tool, but considered it only as an alternative to custody. Some people were worried about how others might react to them wearing a tag, whether they would jump to certain conclusions. Others, particularly those already familiar with electronic monitoring, said they felt it was ‘under-used’ in Scotland, or used as a ‘blunt instrument’, and were keen to see how incorporating GPS could expand the use of tagging in the future. 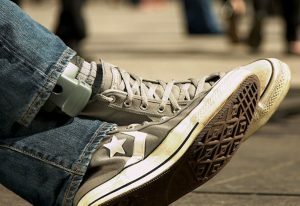 Many recognised it as a technological improvement over the current system used, particularly the volume and accuracy of data collected, and this gave them greater confidence in the use of GPS electronic monitoring as a community sentence. Spending a few days being tagged, and seeing the information that had been gathered about their movements, gave volunteers a far greater appreciation of the accuracy of GPS technology. Many recognised it as a technological improvement over the current system used, particularly the volume and accuracy of data collected, and this gave them greater confidence in the use of GPS electronic monitoring as a community sentence. In particular volunteers were surprised by the wealth of data the device collected and how, with proper analysis, this could be used to build a detailed picture of a person’s lifestyle. At the same time, the implications of having access to this quantity and type of data was not lost on participants. Many sought assurances that the information gathered would be stored responsibly and only made available to those who required it. These questions echo those of the Electronic Monitoring Expert Working Group, which is working to ensure that any change to the electronic monitoring service takes data collection into account. This gave volunteers a greater appreciation of how people with more chaotic lifestyles could find it difficult to meet their sentence conditions even if their intention was to comply. The test also got people thinking about new and positive applications for the GPS technology. Many recognised that, as a tool on its own, simply wearing a tag is not enough in itself to ensure long term desistance once that tag is removed. Volunteers felt that GPS tagging will work best within a wider package of tailored support, or supervision. This chimes with the Scottish Government’s own approach to community justice. We believe in taking a person-centred approach to people who have offended, supporting them to address their underlying issues that cause offending and encouraging a reduction in reoffending. Finally we asked volunteers if there was anything they found difficult about wearing an electronic tag. Many highlighted the burden of wearing the tag and the impact on their daily lives, particularly having to regularly charge the battery. This gave volunteers a greater appreciation of how people with more chaotic lifestyles could find it difficult to meet their sentence conditions even if their intention was to comply. Some also found that their previous fears of how people reacted to them were realised. They found themselves being treated differently by people who didn’t realise they were taking part in a test. This was a concern not just for the volunteers, but others around them – in one case a volunteer’s grandmother was ‘horrified’ by the thought people would automatically judge their grandchild because they were wearing a tag. This was an extremely useful test of GPS electronic monitoring technology and an opportunity for others to learn more about what it is like to wear a tag and how the system works in practice. As part of the government’s work, it helped to highlight the important factors around the introduction of GPS technology – from the practical need for support to ensure people are not being set up to fail, to the questions around how the data is collected and used, and the potential role of GPS technology as an alternative to short prison sentences. I had no problems wearing the tag. The thing that impressed me most was the level of detail recorded. I think it would be very useful to let offenders see that too. It leaves you in no doubt about the accuracy of the system. I went out my way to try and deceive the tag, but on every occasion I thought I had entered an exclusion zone undetected, I was totally wrong. Enabling 50 volunteers to wear a GPS tracking device for a short period and then study the data that had been collected about them was a really useful way of getting justice professionals to think about the potential and pitfalls of this technology. There is no “one-way” to use it, and practitioners do need to get a sense of what it can and can’t do before they can work out in what contexts, and in what legal and policy frameworks, it might best be used. It’s not a panacea, certainly not if used apart from tried and tested social work interventions, but it can sometimes add something useful to the best of what we already do when supervising (or managing) offenders in the community. GPS tracking is not inherently superior to the radio frequency (RF) technology currently used to enforce curfews, its just a different form of electronic monitoring, with different potential. RF still has a place – but even that needs to be used more strategically and more sensibly in Scotland than it has been upto now. The Cabinet Secretary’s thoughtful reflections on what GPS might add to EM in Scotland augur well for improved future uses, but that will only come about if criminal justice professionals themselves – and sheriffs – engage actively and imaginatively with the varied forms of control and support that EM has to offer.